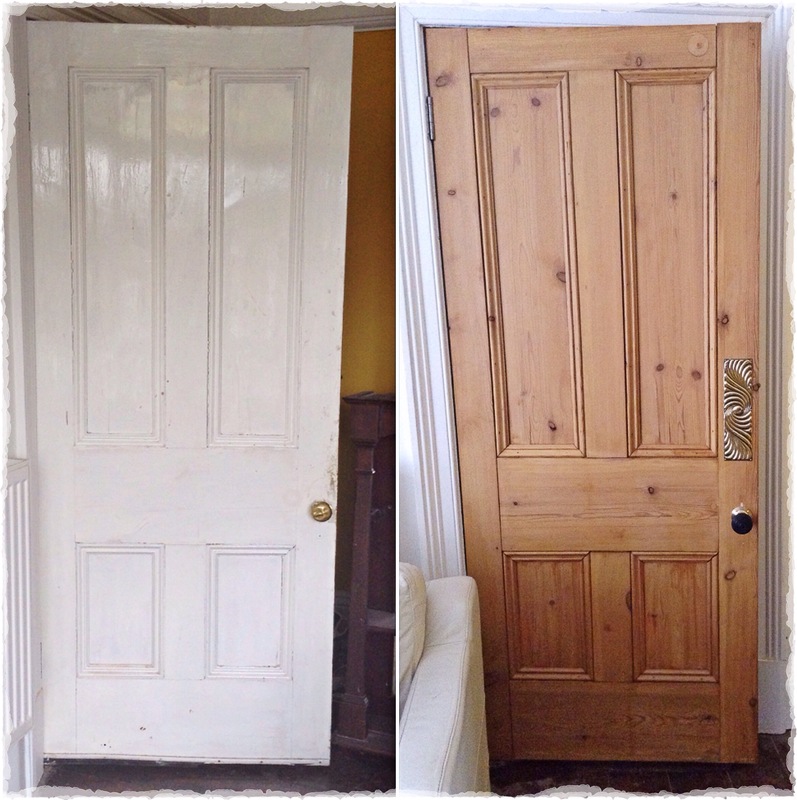 This entry was posted in Library, Lounge, Master Bedroom, Sourcing and tagged door furniture, door stripping, oiling doors, renovating doors, salvage, waxing doors by ladylansdowne. Bookmark the permalink. 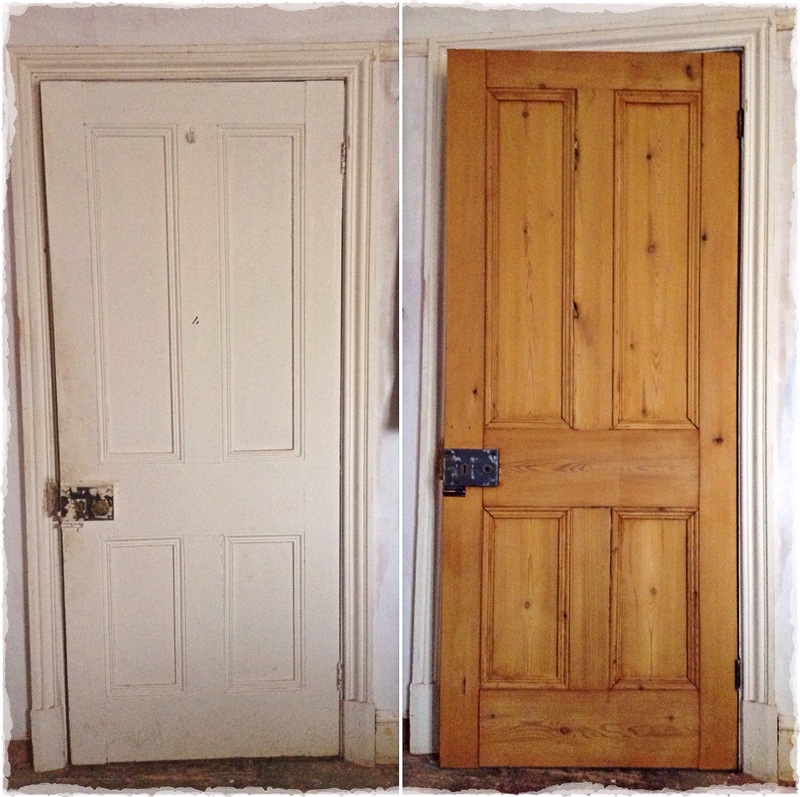 The doors look much better and well worth the cost of having them stripped. 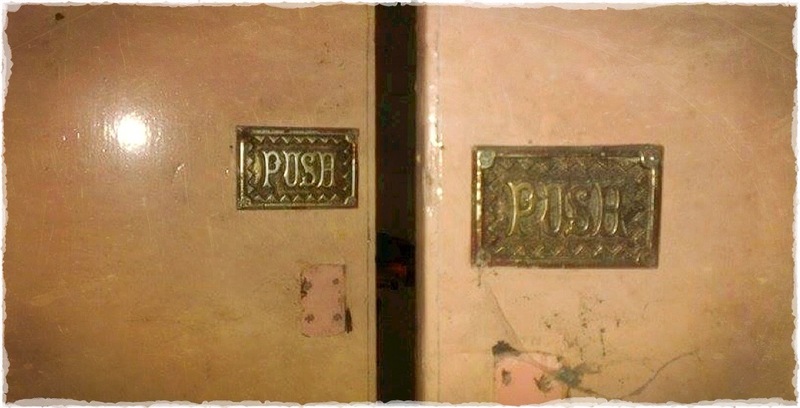 I like the push plates. I agree, those doors are beautiful! 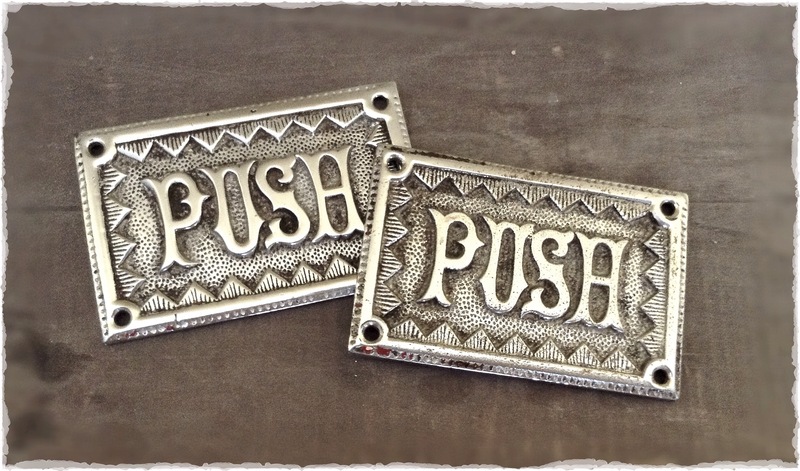 I love the new finger plate and the push plates. I didn’t know you could strip Bakelite–did you use polish on the knobs after? 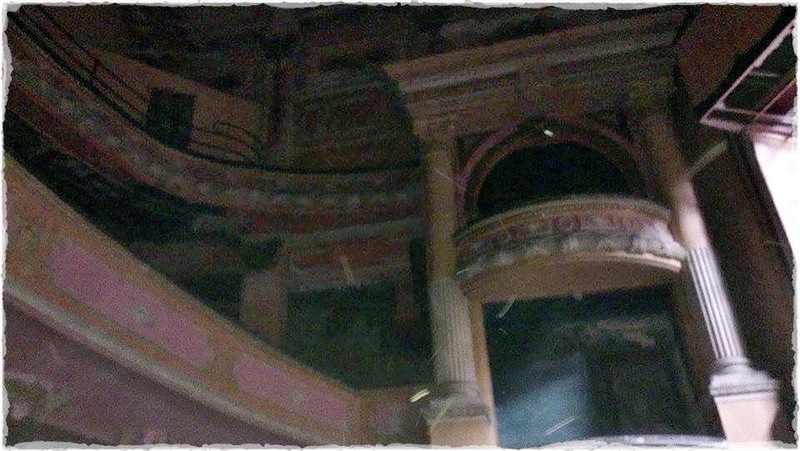 Makes me sad the theater is being demolished … looks like it was gorgeous in its day. At least you’ve saved a little piece of it. I didn’t know you could strip it either, to be honest I didn’t know you could paint it either! It just flicked off with a tiny knife and then I buffed it up with a brass polish, they came up really well for a 15 min job. There are SO many theatres like this closing, it really is very sad… Many of them locally are old cinemas, imagine going to see a movie somewhere like that! Hope so, I did think they had a brass finish when I bought them to be honest, but I still love them. 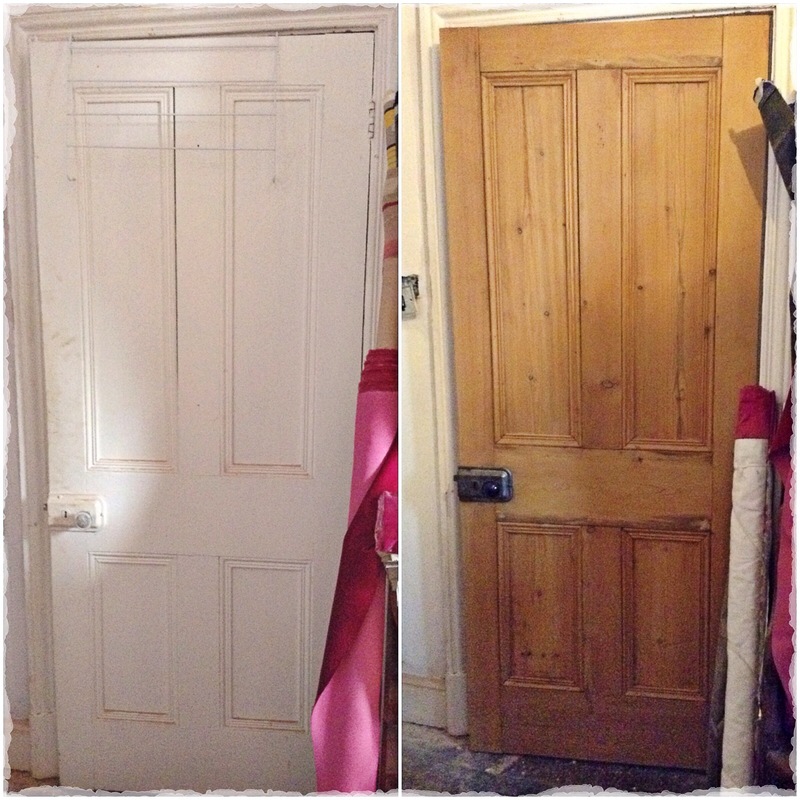 So happy you are posting more of your hard work to restore your home! I was worried you’d stopped! Love what you’re up to! I wish I had access to some place that would “dip” my projects for me… that would make my life so much easier!